b) even if it did happen, well – it’s happened before. c) it’s all about how you draw the boundaries. Let’s look at the facts. According to Regional Population Growth, Australia (3218.0), Melbourne grew by 17.4% between 2001 and 2010, or 605,000 people, while Sydney grew by 447,000 people, 10.8%. These figures relate to the Melbourne and Sydney Statistical Divisions, which represent the greater metropolitan areas of each city, more on that later. One important point to bear in mind is that regional growth figures are subject to revision after the next Census. They may be revised up or down after 2011 depending on the Census count. 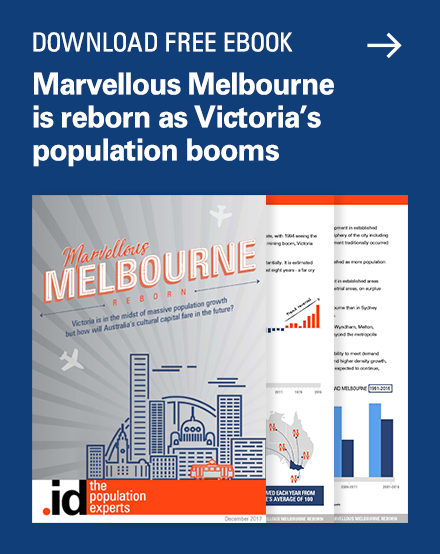 Now both these figures are quite significant growth, and The Age has just extrapolated this growth rate to say that Melbourne’s population would equal Sydney’s in another 17 years of the same growth. Well fair enough, but, to be frank, this is “old news”. Sydney had a real population slump in the early 2000’s, growing by only 20-30,000 p.a. while Melbourne grew by over 50,000 p.a. 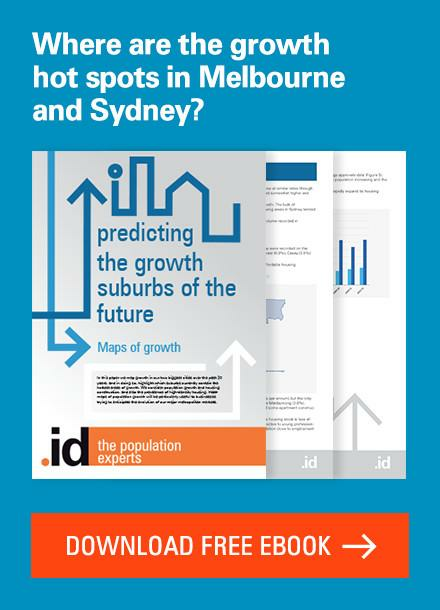 In the most recent year, 2010, which is the only “new” bit of data in this publication, Sydney’s growth almost matched Melbourne, at 75,000 compared to 79,000. See the chart below, which show’s Melbourne and Sydney’s growth each year from 2001-2010. Source: ABS 3218.0 – Regional Population Growth, Australia, 2009-10 – note that the “r” next to a year means it’s revised but still subject to review after next Census, and “p” means it’s preliminary. So if you take the last 2 years trend rather than the last 9 years, it will take at least until 2037 for Melbourne to overtake Sydney. But this is a very simplistic analysis, and projecting a trendline is not what forecasting is about. 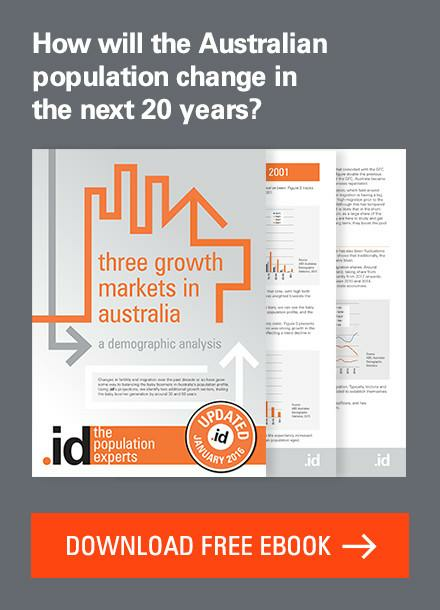 .id’s population forecasts take into account housing demand, land supply and the role and function of each area to model likely population outcomes at a local level. b) Has it happened before? Well, in a nutshell, yes! Melbourne’s population exceeded Sydney in 1854, and Sydney didn’t become the largest city again until 1891, due to the economic depression at the time, which affected Victoria severely. During the 1870s, Victoria was around 200,000 people, or 33% larger than NSW in population. (Source: ABS Historical Population Statistics, 2008, 3105.0). Also, there is a lot of angst around the rate of population growth in Melbourne at the moment. 605,000 people in 9 years is quite a lot, but in percentage terms, it is totally dwarfed by the growth rate experienced in the 1850s gold rush. Victoria’s population grew from 97,000 in the 1851 to 538,000 9 years later in 1860, a growth of over 450 percent! Even in absolute terms, it’s a growth of 440,000 people in 9 years, which must have had a staggering impact at the time. Admittedly this figure is for Victoria, not just Melbourne, and quite a bit of that growth would have been in the goldfields, but it’s still an amazing level of growth, in an era when there would have been very little infrastructure in place to support it. c) How do we define Melbourne or Sydney? In the end, the size of particular cities is largely determined by where you draw the boundaries. There is no definitive answer to where a city starts and ends. In the USA, city populations are usually quoted as “within the city limits” which is a local government definition. By this definition, the population of Melbourne in 2010 was 96,552, and Sydney was 182,276, their respective local government populations! We don’t tend to use this definition in Australia because mostly our suburban areas have their own local governments, and are clearly part of the city’s population. It is somewhat popular in Brisbane, however, where the City of Brisbane covers most, but by no means all of the metropolitan area. As cities expand to subsume formerly separate towns, how do you decide what is part of the city and what isn’t? The ABS define Melbourne and Sydney by their “Statistical Division”, which encompasses the greater metropolitan area, a surprisingly large amount of rural land and what some people would regard as country towns. For example, Healesville, Warburton, Bunyip, the entire Mornington Peninsula, Sunbury and Melton are all included as part of the Melbourne population. 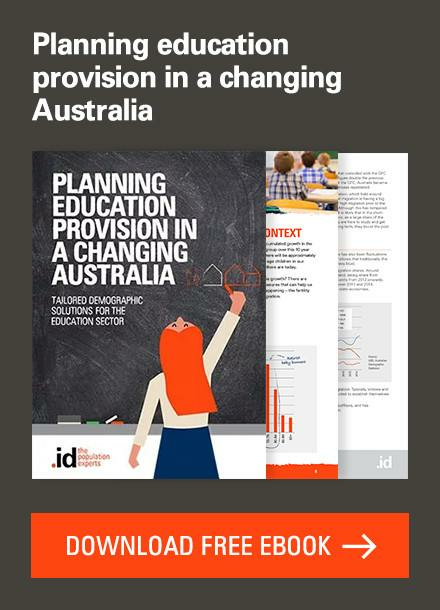 This is expanding in the new ABS geography, which will be detailed in my next article “Greater Capital Cities”, and Melbourne will add Gisborne, Riddells Creek, Wallan, Wandong, Beveridge and Bacchus Marsh to its population from 2011, an increase of around 60,000 people at current populations. This may shorten the time it takes for Melbourne to overtake Sydney, by artificial means! Is this fair to Sydney, which is having only minor tweaks to its geography as part of the same review? Well the Sydney Statistical Division is already enormous. It extends at least 100km to the west, southwest and north of the city. Many people wouldn’t realise that Sydney’s population includes the entire Central Coast, Blue Mountains as far west as Blackheath, and the towns of Picton and Bargo, almost 100km from the city. The extensions to what is regarded as “Melbourne” probably only put Melbourne’s geographic spread on par with Sydney’s. Just beyond the limits of the Sydney Statistical Division you have the Newcastle and Wollongong areas, which are both growing strongly. The Hunter and Illawarra statistical divisions have a combined population of over 1 million and are also growing fairly strongly. There are also large population centres up and down the coast, which are not mirrored in Victoria. 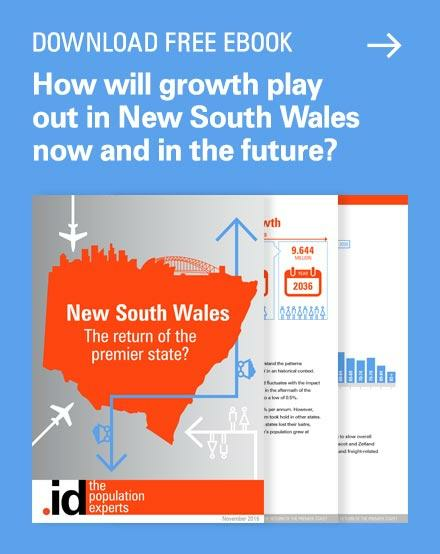 So, while it is possible that Melbourne may overtake Sydney’s populations in the next 30 years or so, New South Wales will still be the largest state for a long time to come. 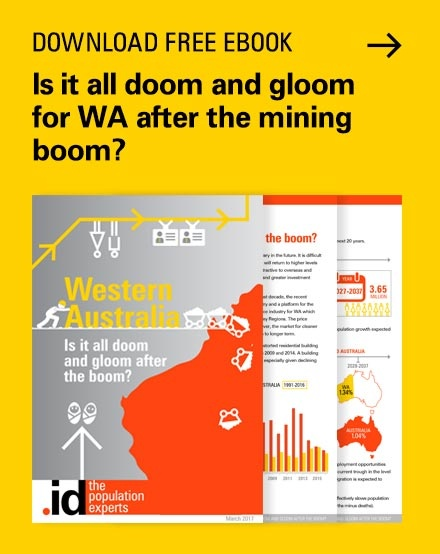 If you enjoyed this article, visit our website at id.com.au or sign up to get updates via email and twitter (above), and feel free to share it. Does ‘Big Australia’ mean ‘Big Immigration’? He did exactly the same thing – merely extrapolated the volume of growth forward, concluding that Melbourne’s population would overtake Sydney’s in 2028. However, as you have rightly pointed out Glenn, this is a very simplistic way of forecasting, and, if I may add – unrealistic. Differences in the demographic components such as the age structure, migration, births and deaths also play a role in determining future populations. 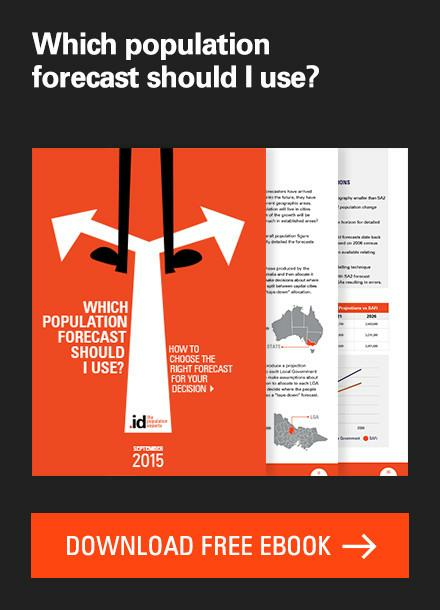 id’s forecasts consider these, as well as land supply, housing demand and household formation, in preparing our forecasts. On the other hand, if Melb was allowed to include areas 100 kms from the GPO in the statistical division, then it is possible Melb is already bigger. (eg Geelong has a pop of about 185k people). That’s quite possible, but then to be fair, you’d have to include Wollongong and parts of the Hunter in Sydney’s population too, which are a similar distance from Sydney – Wollongong/Shellharbour alone has an urban population of about 270,000, which would push Sydney back above Melbourne. absolutely rediculous that sydney claims picton and balcheath as part of its metropolitan area. take away those areas and the populations are probably less than 300,000. based on georapic land supply, well, just take a look next time you fly into both cities. melbourne has 200 years of surplus land supply, whilst sydney has effectively reached its limitations in all directions. it will be beyond all of our lifetimes, but melbourne will defiinately be physically larger and the population will be far beyond sydney from 2060 onwards. I agree that Picton and Blackheath are a long way out – statistically at the moment though they don’t add much to Sydney’s population. The inclusion of Central Coast is far more significant (over 300,000 people). Don’t forget that Melbourne also goes a long way out, including Portsea, Bunyip and Warburton, all 80-100km from the city. 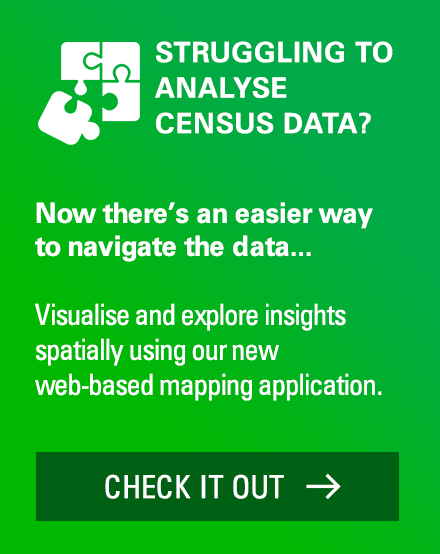 And with the new ABS geography, Gisborne, Bacchus Marsh and Wallan go into the Melbourne Greater Capital City area too. Melbourne has a long way to go in terms of becoming the largest urban area of Australia. Sydney really does stretch from Wollongong to Newcastle because it is a continuous urban area. The Melbourne-Geelong area is also very large. The Newcastle-Sydney-Wollongong combined area has about 5 million people and Melbourne-Geelong combine to be around 4.2 million. Newcastle and Wollongong are also experiencing population growth so before Melbourne can truly take the mantle its combined urban area population will have to greater than the Newcastle-Sydney-Wollongong population. Previous story Did “The Force” influence the Census?